Assisting clinicians in the differential diagnosis of the wide range of disorders responsible for fever of unknown origin (FUO), this source stands as the only recent and comprehensive differential diagnosis of these conditions. This guide providing a clear overview of diagnostic approaches and offers expert recommendations that are invaluable to anyone caring for patients with prolonged undiagnosed fever. 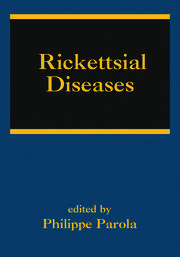 Written by clinicians for clinicians, this single authoritative source emphasizes the syadramic approach in the diagnosis of FUOs…discusses the etiology and distribution of disorders causing FUOs…and stresses the importance of a focused history, physical examination, and laboratory tests in the differential diagnosis of the FUO patient. BURKE A. CUNHA is Chief, Infectious Disease Division, Winthrop-University Hospital, Mineola, New York, and Professor of Medicine, State University of New York School of Medicine, Stony Brook. Dr. Cunha is the author or coauthor of more than 150 abstracts, 100 electronic publications, 1000 articles, and 150 book chapters. 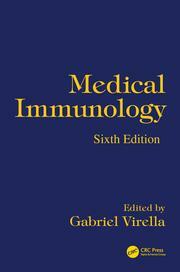 He has edited 20 books on various infectious disease topics and is Editor-in-Chief of the journals Infectious Disease Practice and Antibiotics for Clinicians. Dr. Cunha is a Fellow of the Infectious Diseases Society of America. Dr. Cunha is internationally recognized as a teacher-clinician and is the recipient of many teaching awards including the prestigious Aesculapius Award. Dr. Cunha is a Master the American College of Physicians awarded for lifetime achievement as a master clinician and teacher of infectious diseases. Dr. Cunha received the M.D. degree from Pennsylvania State University College of Medicine, Hershey.